The peer-to-peer lending market is on the rise with Zopa announcing that it lent £100 million to UK borrowers in the past six months. 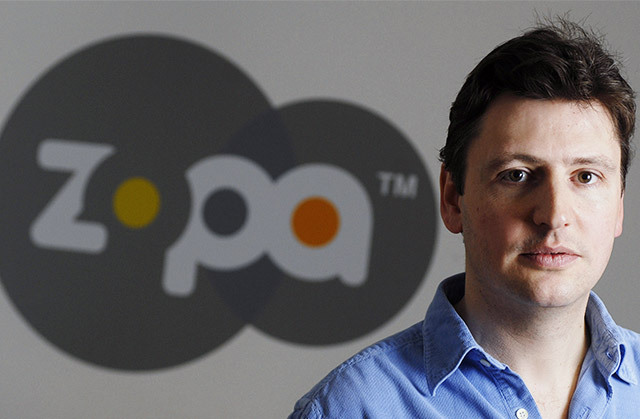 Since it launched in 2005, Zopa has now lent £400 million, with the entire industry growing at a rapid rate. Zopa is the market leader in the peer-to-peer loans sector but many companies, such as Rate Setter and Funding Circle, have now joined the industry. It is estimated that the industry as a whole will be lending £1 billion per annum by 2016. The success of the peer-to-peer market has, in part, been down to weak savings rates available to consumers at high street banks. Along with this, the competitive loan interest rates provided by companies such as Zopa and Rate Setter, have given thousands of UK borrowers an incentive to bypass the banks in favour of the peer-to-peer market. Giles Andrews, CEO of Zopa believes borrowers and lenders are getting a “better deal” through the peer-to-peer industry. “UK savers seem to have been forgotten by the banking establishment, so it is not surprising more people are giving Zopa a try,” Mr Andrews said. Savers can get rates of up to 4.4% for lending money through Zopa’s peer-to-peer lending network, while borrowers can get rates as low a s4.8% on loans. However, since last week (18 October) Zopa has increased its rates for loans ranging between £7,500 and £10,000 over the two to five year repayment periods. These rates went up from 4.8% to between 4.9% and 5.2% leaving its competitors in the standard loans market – such as Hitachi Personal Finance, whose rates go as low as 4.9% – with the initiative. With the Financial Conduct Authority set to regulate the industry from April 2014, personal finance expert at uSwitch, Michael Ossei believes that those with less than perfect credit histories are still more likely to turn to standard loan providers. “Although the peer-to-peer lending industry is yet to cater for a wider spread of the loan market, they are working well at forcing banks to improve their rates,” Mr Ossei said. Alan, sad to hear that, thought it sounded to good to be true.. Can you provide a brief outline of what you invested and the return or loss of return on that investment? I was with Zopa for seven years. It lost all credibility, though, when it forced everyone to join the stupid “safe loan” scheme. I was making about 7-8% on my loans, and now the interest is below 5%. I moved out all my money and have placed it in Funding Circle, where I am back to about 7% profit on my lending. Interesting that Alan Loughlin (unhappy) and Chris (high interest returns) seem to have had two entirely different experiences of participating in Zopa which seems strange when the lending is spread across so many borrowers. Makes you wonder what to believe!